The most effective photo shoots I can do are those where I have time to get to know the person or people I am shooting before I take the very first picture. Getting to know my subjects before a shoot is of the highest importance, and it is a must for me. Even if it is the day of the shoot – just hours or even minutes before we start – I can make that connection. As a result, I understand them and their story better. That can only result in a better-quality project. By spending that time, and learning about them, I can take notice of their natural expressions, posture, demeanor and more. Building this rapport right away goes a long way in getting them comfortable in front of the camera. Generally, that’s easy because most of the time I am taking pictures for a good, fun reason. The shoot associated with these pictures is a perfect example. 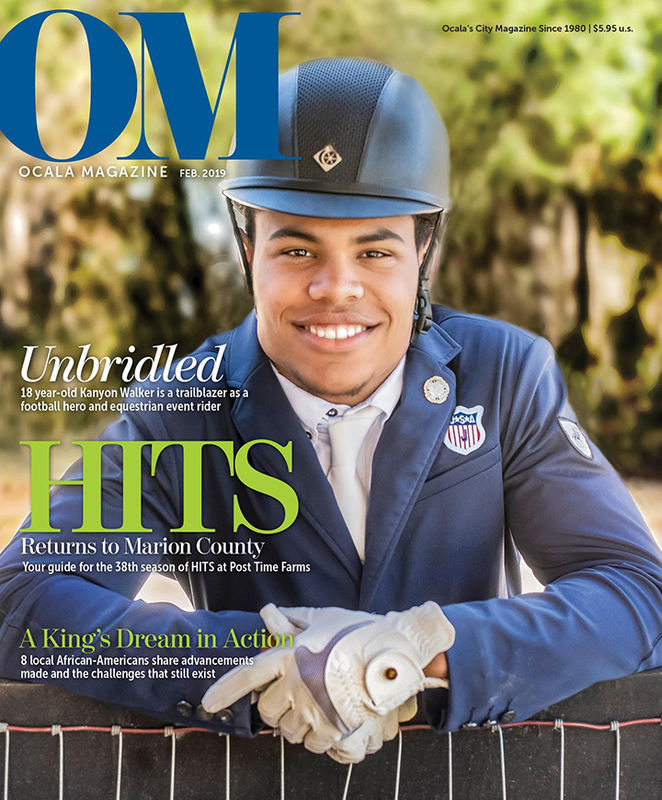 Different from most of the commercial shoots I do, this one falls in the human-interest genre of editorial, as it was for a cover story for Ocala Magazine. 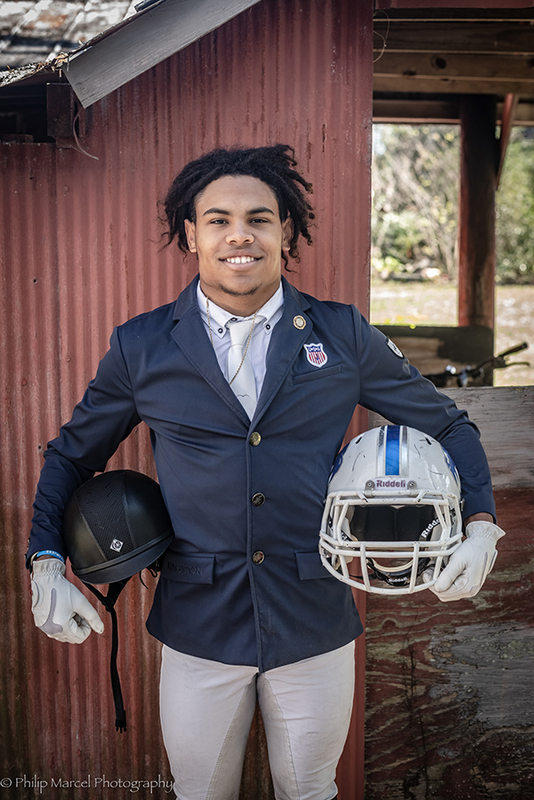 The fascinating subject of this story – Kanyon Walker – is an eventing equestrian who recently early enrolled at Tulane University on a football scholarship. 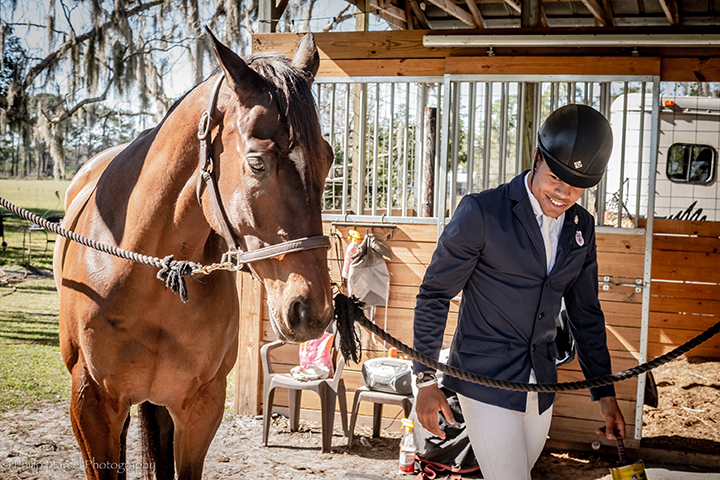 All the pictures were taken on his family farm in Ocala. Kanyon is a fascinating young man. You can read his full story in the February issue of the magazine. Unlike the subjects of many of my commercial shoots, Kanyon wasn’t selling a product or branding himself, though this publicity may certainly be used by him for some future branding, as he has big aspirations. This shoot is different from many other commercial shoots I do as this is for a cover story. This falls in the human-interest genre of editorial. For me, this shoot was a wonderful experience. Kanyon impressed me. As a young man, he is disciplined and focused on his goals. He has a high level of responsibility. 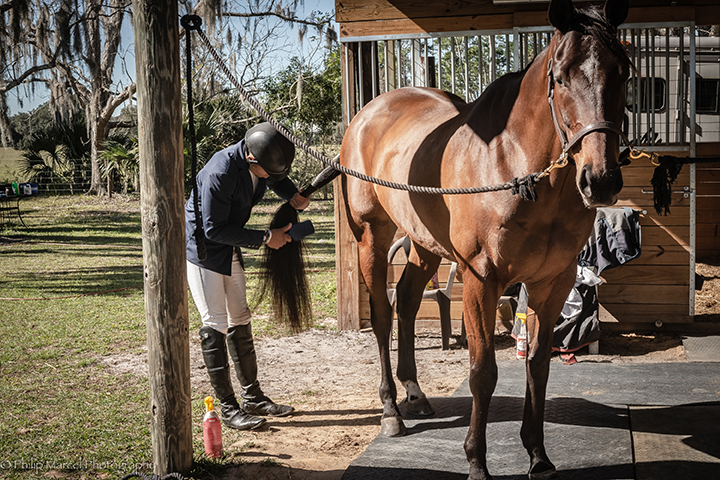 It takes a lot to be the caretaker for his beautiful horse, Durango. Spending time with Kanyon actually gave me some hope for youth and humanity. Kudos to his parents and family. As far as shooting editorial vs. commercial, in this case in particular, I got to meet some incredible and interesting people. I had some creative fun during the shoots. And, with commercial, I usually have to just sit on the information in excited anticipation with this knowledge and wait. But here it is. 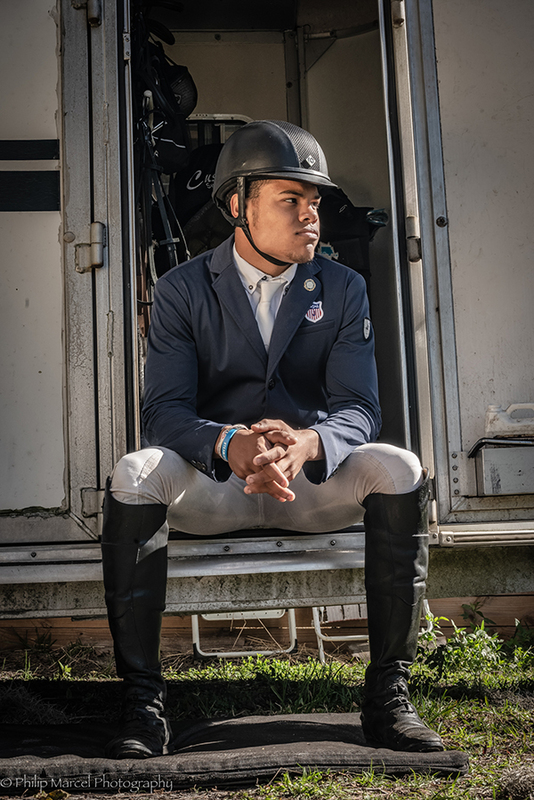 I was thrilled to be part of bringing this young man’s story to the public.